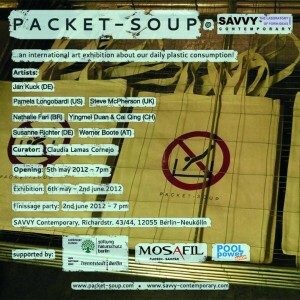 I have been invited to exhibit at Savvy Contemporary during May of next year, in the exhibition Packet-Soup. 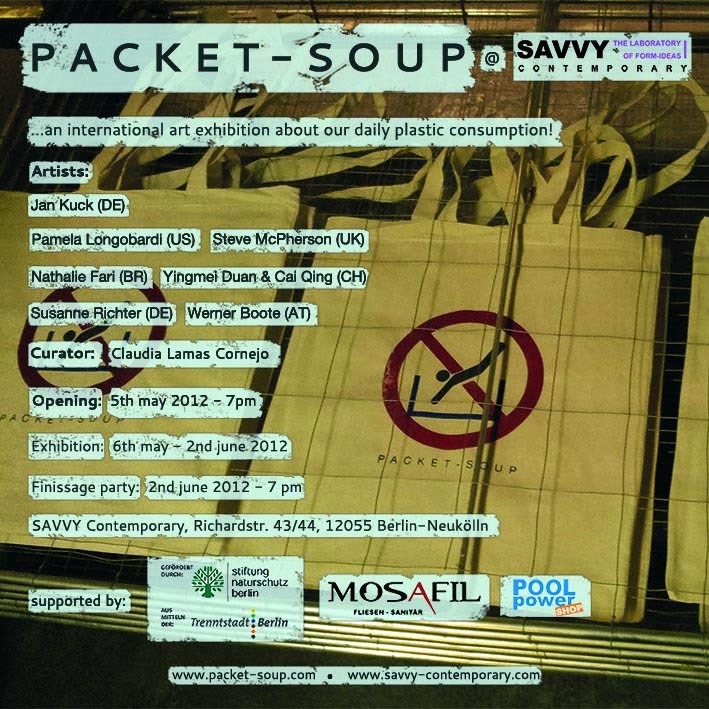 An exhibition of work questioning the consumption and problems of plastic use. Will keep you posted on any updates.